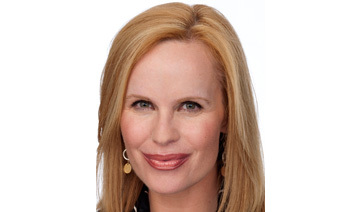 Where has Money-Saving Expert Elisabeth Leamy Been Featured in the News? Here is a sampling of print and online articles as well as television segments featuring Elisabeth in her roles as a broadcaster, columnist, money-saving expert and media relations coach. You’ve probably already heard about Groupon’s restaurant, fitness, and beauty deals, but did you know you can also use the site for discounted eye, dental, and chiropractic exams? If you visit the chiropractor twice a month, and your insurance doesn’t pay the average $68 fee (as per Chiropractic Economicsmagazine), you’ll save around $1,000 by using packages advertised on Groupon—which often work out to $25 or less a visit. Just be sure to research each office on Google, Yelp, and social media beforehand. Groupon doesn’t vet its merchants, so if a business doesn’t have a solid Better Business Bureau rating and plenty of good customer reviews, it’s probably worth skipping. While you may think getting a raise is the key to making you happier, research suggests it actually happens the other way around: Fostering a positive attitude in your day-to-day work could help youmove up in your company or land a big project. According to the Harvard Business Review, an easy way to do so could be through simply helping your coworkers. A 2011 study found that people who coordinated lunches and organized office activities were 10 times as engaged at work—and 40% more likely to get a promotion (and a raise)—as those who didn’t. We’ve all been there — at the register with an item for purchase and wondering, ‘Can I get this for even less than advertised?’ You may not hesitate to pose the question when buying an appliance, but experts say the art of negotiating for a better price extends to a variety of scenarios. You’ve perused galleries/studios for that one piece of art that speaks to you. You’ve found it, but can you negotiate with the gallery owner/artist for a better deal? Yes, says Victor Armendariz, owner and director of Gallery Victor Armendariz in River North. Galerie Waterton owner Francois Grossas agrees that the leverage is always on the side of the collector/buyer when it comes to art. Perhaps the best-known place to negotiate is the car dealership. Tips on how to finesse deals through negotiating/haggling are plentiful, but are they doable and impactful? Yes, says Washington, D.C., resident and Easy Money podcast host Elisabeth Leamy. Before you go to the dealership, she said, do two things: get outside financing, and reach out to dealerships’ internet departments. Car financing is another moving part that complicates negotiations. “After you’ve negotiated a price for the vehicle, you can see if the dealership’s financing is any better than your own,” Leamy said. Internet departments at dealerships can deal with negotiations via phone and email and are often quicker to reveal their best price for a vehicle. “Plus, they frequently strive for volume sales rather than milking each transaction. This can make for a lower-pressure experience,” Leamy said. Other details to remember: No need to talk price when you first get to the dealership and ask for a test drive; talk price after the test drive, and know what to pay. (Researching on Edmunds.com can give you insight into setting your opening offer and your maximum offer. ); talk price, not car payment. And mention your trade-in after the entire deal has been negotiated. “Reason being, if you mention the trade-in at the beginning, just like with financing, it’s one more number the dealer can use to make the transaction confusing,” she said. It would appear retail purchases can be negotiated too. In addition to firms that exist to help consumers with their car negotiating (e.g. Carjojo), there are companies to help you haggle with other retailers (e.g. Treatail). When trying to get more off from the ticketed price, remember loyalty programs. Knitwear retailer Nic + Zoe, for instance, opened a Highland Park location in October and just started its loyalty program, which will include deals and offers. “We’re extremely mindful of the fact that our customer wants value in her product and she wants to feel like she’s getting a deal,” said Zoe Chatfield-Taylor, Nic+Zoe’s merchandising director (and namesake). A loyalty program coupled with an in-store promotion and a simple query to an employee about matching a competing store’s sale could get you a lower price. Don’t be afraid to ask for that which is not overtly promoted. Case in point: Lane Bryant gives extra discounts to teachers who show a valid school ID or pay stub during checkout. But again, the ask is part of it. Based on all the festive lights, trees and decorations in big box stores, it’s obvious the holiday season is upon us. This means spending will likely be at an all-time high in the coming weeks, but you don’t have to fall victim to prior years’ debt statistics. Research shows that the average American spent more than $1,100 on gifts, decorations and festivities last year, and women tend to outspend men. Our infographic offers insight into holiday spending trends from prior years, along with top savings tips from your favorite finance experts and bloggers to keep out of debt. Don't skip the latte! Oh, and inflate your tires — but not to save a few bucks. Save money, sure. But learn how to SAVE BIG, rather than pinching pennies that will take you a lifetime to accumulate. Welcome to Elisabeth Leamy's world of how to SAVE BIG, the title of the Good Morning America consumer correspondent's new book. Not that you avoid all small savings tips, but Leamy wants consumers to find big ways to save money faster. The notion resonates with me because in these troubled economic times we sometimes need a latte, or a spa treatment or a golf outing to ease the pressure. But it doesn't feel like we can (though we later go financially stir crazy and end up splurging). So I had a talk with Leamy and a look at her book to see how to SAVE BIG rather than small. Is it possible for everyday folks to do? "People say to me, 'You're educated. You make good money. I can't do that,' " she said. "I reject that. These big savings steps are not hard to do." So how does Leamy save big? Reduce your top five costs, she says, and you'll save thousands. Those include costs related to your home, car, health care, credit and groceries. Though she pays significant attention to home ownership — about a third of her book focuses on such ideas as selling your house yourself and using tax benefits — Leamy offers something for everyone on how to save, and big. For example, need a car? Buy a used car instead of a new one and save $10,000 or even $20,000 on the car of your choice. Sure, you have to do some homework, but the reality is you can find even the nice luxury car for a lot less. While inflating your tires to the right level saves you about $9 a month, Leamy touts some $152,417 in car savings in her book. "You would have to properly inflate the tires of five cars for 282 years to match that!" she says in the book. In all, SAVE BIG shows consumers how to save $1,176,916, or the equivalent of about 294,229 lattes. One of Leamy's recommendations that most any consumer can benefit from is her suggestions for grocery savings. Take her suggestion about "price matching." She calls it "our first guerilla grocery shopping weapon." Rather than running around to different stores to buy items at sale prices, find one store that honors other stores' prices and get everything there. Some stores will "beat their competitors prices rather than just matching them," Leamy says in her book. "For example, Lowe's and Home Depot both promise to beat each other's prices by 10 percent." Leamy also recommends stockpiling by catching "seasonal" specialties. Did you know there are spaghetti sauce wars in September between Ragu and Prego? And Quaker has sales in January, she says. In her estimation, Leamy says, price matching can save as much as $10,000 a year in grocery costs. "I thought people would really like to hear this," Leamy said of the book. "You want to have some pleasures in life," rather than avoiding a latte, always packing a lunch and constantly checking the tires. • Think about big ways to save. Leamy emphasizes a strong credit score can save you $2,916 a year on your mortgage. Raising your health insurance deductible can save $2,700. • Price match when grocery shopping. Leamy says the Web site CouponMom.com can help you with price matching and other savings. • Negotiate with retailers for products, banks for interest rates and car dealers for deals. Elisabeth Leamy, widely known as the consumer correspondent on ABC's Good Morning America, wasn't always adept at managing her money. While in grad school at Northwestern University's Medill School of Journalism several years ago, she sank deep into credit card debt -- partly the result, she says, of too many shopping sprees at Water Tower Place. Some good advice from Elisabeth Leamy's new book, Save Big. Buy a house ASAP: "You should buy a house as soon as possible, because it's the one investment you can make with money you have to spend anyway. After all, you have to pay money to live somewhere. If you currently rent, it's your biggest expense, but you can make that money serve two purposes by buying a place instead. You get a nest and a nest egg." Never buy a new car: "You know that cars go down in value, but did you know that a car's steepest depreciation occurs between ages zero and three -- an average of 45 percent? The depreciation from year three to year six is much more modest, more like 25 percent, according to Consumer Reports. If you were psychic and knew a stock was going to go way down in value for three years and then level off, wouldn't you wait until year four to buy it?" Request a security freeze: "If you really want to safeguard your credit file, consider a security freeze, your right under the Identity Theft Protection Law. Prospective creditors are barred from even looking at your file unless you open it for them. (Banks and businesses with which you have an existing relationship still have access.) This prevents identity thieves from opening accounts in your name because banks won't establish new accounts without a credit check." Save on healthcare: Raise your deductible as high as you can afford to; open a tax-free Health Savings Account; get a group rate on insurance. Now, though, her saving savvy is at an all-time high, and she shares a number of effective techniques in her new book, Save Big. Inspired by a scrappy and smart Chicago area woman Leamy had interviewed for a GMA story about America's most frugal moms, it's chock-full of insider tips on everything from mortgage shopping and car buying to healthcare and credit cards. Why sweat the small stuff, Leamy says, when there are so many other ways to more dramatically improve your bottom line? Q. What's been your journey from financial layperson to where you are now? A. I have smart parents who were very much up on this stuff. And they tried to teach me, but I frankly wasn't interested. I was math-phobic. And I also, as a young woman, loved to shop. So in college and post-college I got myself a nice credit card habit and some credit card debt. And my parents bailed me out the first time, which was mortifying. And then, you know what? I dug myself into credit card debt again. And then I dug myself out, dollar by dollar, on my own. Very proud of that accomplishment. Right around that same time I had a secret weapon. Namely, I started dating a guy who's now my husband, and he is a certified financial planner. So I have to admit, I've had a personal tutor on some of this stuff. Q. There are a lot of great tips in your book, but some of them will take people quite a bit more time than they're used to spending. A. Only [on] the grocery stuff. I have a love-hate relationship with the grocery section for that very reason. It takes more regular maintenance than all my other sections. Most of the other ways to save big are things you can focus on just once every few years or few months and then you'll get a big payoff. With groceries, you do have to do more frequent work. And I don't like that about it. But on the other hand, not everybody owns a home, not everybody even owns a car. Everybody needs groceries. And so it's kind of the baseline way to save. You can then accumulate a little bit of savings, which you can then put toward some of the other savings techniques that are even bigger. Q. Is a smart spender the same as a good saver, or are there differences? A. I think they're cousins. I know plenty of people who have given up their daily latte and tried to do all these other little things, but they leased a car -- which is a terrible financial mistake. They don't carefully guard their credit to maintain the highest possible score. I say credit is a cost -- the cost of interest. I raised my score and I calculated that I've saved $116,000 in mortgage interest over the past 10 years. So people are focused on the wrong things, I believe. Q. Why don't people make more efforts to save? Is it just not knowing how to do it? A. Again and again, what you hear is, "Brown bag your lunch, cut out your daily latte, go to your own bank's ATM," which I agree with, but it's not always convenient. The thing is, those are all little savings. My shtick is that I say every tip in this book has the potential to save you at least $1,000. To me, that's money to get excited about. I'm not that excited about saving $4. Q. It's more inspirational to focus on the big stuff. There's more of a payoff. But brown-bagging it everyday, saving four bucks, adds up. A. Brown-bagging it does add up. But I say at the end of the book that some of those little pleasures in life are what keep the big responsibilities from bumping into each other. So I hope people won't feel stressed out on the day that they don't have time to brown bag it. And I hope people will take 15 minutes to have a coffee with a friend, which is a nice little interlude in life. I think we should enjoy some of those little pleasures. Elisabeth Leamy decided to write a how-to manual after people kept recognizing her on the street or at stores and approaching her for consumer advice. "I realized they're hungry for this information," says Leamy, the consumer and senior investigative reporter at WTTG Fox 5 News, where she has worked for seven years. In "The Savvy Consumer: How to Avoid Scams and Rip-offs That Cost You Time and Money" (Capital Books; $18.95), she tried to answer the questions consumers asked her most. She ended up writing 340 pages on 128 topics, ranging from alarm-system and carpet-cleaning rip-offs to mortgages and pyramid schemes. Divided into category chapters such as "Cars, "Credit" and "Telephone," the book is structured in a page-to-topic ratio that enables readers to bone up pronto on a particular issue. Most topics include tips on recognizing the telltale signs, avoiding the problem and fighting back if you didn't. Appraisal: This book arms people with solid advice from a consumer advocate who has grappled with unreliable products, unrepentant CEOs and unlawful scammers. Why should you never buy an automobile marked "For Sale" by the side of the road? (Unlicensed dealers buy used cars by volume or at auctions, then, to jack up profits, pose as a consumer selling his personal car. It's called "curbstoning.") Want to know the average lifespan of household appliances? (Freezers, 15 to 20 years; washers, 8 to 12 years; dishwashers, 5 to 12 years.) It's here. How to tell if a prepaid calling card is a deal or a dupe? That's in it, too. "There's always another scam or scheme, and it's exhausting to keep up with these wickedly clever con artists," says Leamy, recalling one heartbreaking case several years ago in which a grandmotherly woman was victimized by a "reloading" scheme. First, "she was scammed by a telemarketer," Leamy says, "then another con artist posed as a lawyer and pretended he would help get her money back. Of course, he stole even more of her money. She lost her life savings. "Like bank-examiner stings and Nigerian letter scams, the reloading rip-telemarketer," Leamy says, "then another con artist posed as a lawyer and pretended he would help get her money back. Of course, he stole even more of her money. She lost her life savings. "Like bank-examiner stings and Nigerian letter scams, the reloading rip-off has been around a long time. "It kills me that I hear the same tales of woe over and over again," says Leamy. "It's so easy to avoid consumer problems by doing your homework upfront. But it's excruciatingly difficult to get your money back after the fact. "The book also tackles some widely accepted beliefs that are plain wrong. "Consumer myths continue to floor me," says Leamy. "So many people still believe they have three days to return a car once they buy it. Wrong! So many people believe the Better Business Bureau is the government agency that helps consumers. Wrong! "Leamy's general message to consumers, reflected in almost every page: "Be the hunter, not the hunted!" "In other words, don't do business with companies that come looking for you -- the carpet cleaner that slips a coupon under your door, the stockbroker who cold-calls you. Instead, get referrals, do a background check and do business with companies that you seek out." Except for the occasional special coin or the Martha Washington $1 silver certificate, I always wondered why the face of a woman isn't part of U.S. currency. Then I saw this quote from Ivy Baker Priest, a former U.S. treasurer: "Why should we mind if men have their faces on the money, as long as we get our hands on it?" So for March, in honor of Women's History Month, I've selected four financial books written by four dynamic women for the Color of Money Book Club. Here are the books and why I've selected them. I simply love using a purse as a metaphor for wealth. "More than anything, the purse represents our private financial identity," Deborah Owens writes in "A Purse of Your Own." "At the end of the day, creating wealth is about adding to the purse." Owens covers much of what you should find in this type of book. She talks about investing, saving and spending less. But she does it with a conversational tone. She's the smart sister you might wish you had and could go to for financial advice. Owens is a 20-year veteran of the financial services industry, the chief executive of Owens Media Group and the host of "Wealthy Lifestyle Radio," a personal finance talk show that airs on National Public Radio's affiliate WEAA 88.9 FM in Baltimore. 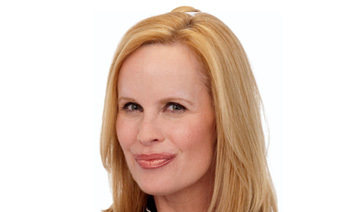 Marianna Olszewski is the founder and chief executive of Madison Financial Management, a broker-dealer and hedge fund marketing company. Her book, "Live It, Love It, Earn It: A Woman's Guide to Financial Freedom," is part motivational, part personal finance, and Olszewski seeks to first inspire before she walks you down the path to prosperity. "A healthy mind, body and bank account are all connected," she writes. This isn't psychobabble. Often those who are poor money managers are unhappy and unhealthy people. Olszewski suggests you get a few of your girlfriends together and read the book as a group to follow her exercises. "The power of the tools is enhanced, and abundance comes to all of us much more quickly than if we are working on them by ourselves." I'm a lifelong penny-pincher who follows the cautionary advice from Benjamin Franklin that "a small leak will sink a great ship." I use this quote to drive home to people that it's the small expenditures in life that can add up to big losses. But in "Save Big," Elisabeth Leamy, who is a consumer correspondent for ABC's "Good Morning America," says to buy your latte in the morning and work on spending less on the big stuff. Her personal finance philosophy: "I've always preferred to save a lot of money on a few things rather than a little bit of money on a bunch of things. I like to save big. Not small." Every tip in her book has the potential to save you at least $1,000, she says. She shows you how to save on the five things we spend the most on -- a home, car, credit card, groceries and health care. Wall Street veteran Carla A. Harris is a managing director at Morgan Stanley Investment Management, and her book "Expect to Win" has a lot of sage and specific advice if you need a push to the top of the career ladder. I know we're in a recession, so I'm not suggesting you buy all four books -- unless you can truly afford to. But at least put them all on your list to read eventually because each has something to offer and will help you, as Priest, the former treasurer, says, get your hands on some money. It's easy to be a member of the Color of Money Book Club. We don't meet, at least not in person. We come together for a live online discussion. Join me at noon March 25 at http://washingtonpost.com/discussions. All four authors of this month's selected books will be available to take your questions. And, yes, gentlemen are welcome. Every month, I randomly select readers to receive a copy of the featured book, donated by the publisher. This month, I'll be giving away copies of all four books. For a chance to win one of them, e-mail colorofmoney@washpost.comwith your name and address. Please identify which book you would like in the subject line of your e-mail. Readers can write to Michelle Singletary at The Washington Post, 1150 15th St. NW, Washington, D.C. 20071. Comments and questions are welcome, but because of the volume of mail, personal responses are not always possible. Please note that comments or questions may be used in a future column, with the writer's name, unless a specific request to do otherwise is indicated. From zeroing in on lost treasure to making a few extra dollars on the side, our savvy panel of financial pros share painless ways to put more cash in your pocket! How about buying a book for a holiday gift? It's easy and affordable. You can shop from home, and the person who receives the book can fulfill the new pastime of entertaining themselves frugally at home. Here are some suggestions to educate people about the harrowing financial crisis or enable them to make the most out of their money in a tough economy. Some of my favorite personal finance books were released prior to this year, so before heading to the bookstore, make a phone call or search online. Disaster insight. Among the many books just released, two good reads are Gillian Tett's "Fool's Gold" and Andrew Ross Sorkin's "Too Big to Fail." Tett, an anthropologist turned financial journalist for the Financial Times, focuses on a Wall Street culture that resulted in disaster. Sorkin, a New York Times reporter, looks inside the private meetings in which Wall Street and the government's elite determined our financial fate during the crisis. Two professors who have spent years studying the world's various financial crises put the recent blunders and challenges into historical perspective. Check out "This Time is Different: Eight Centuries of Financial Folly," by Carmen Reinhart and Kenneth Rogoff. What makes us tick? Although some predict that "shop till you drop" is dead, Lee Eisenberg's "Shoptimism: Why the American Consumer Will Keep on Buying No Matter What" is an enjoyable look into what drives people to buy. Jason Zweig, in "Your Money & Your Brain: How the New Science of Neuroeconomics Can Help Make You Rich," will make you aware of how your brain can cause you to invest poorly and how to fix it. Starting out right. Help friends and family handle their financial lives effectively so they can make the most of their money. Beth Kobliner's "Get a Financial Life: Personal Finance in Your Twenties and Thirties" is one of my favorite wedding or graduation gifts because it walks young adults through every financial decision, from mortgages to credit cards, bank fees, insurance and investing. For people of all ages, Liz Pulliam Weston's "Deal with Your Debt" illustrates how to escape debt, and her "Easy Money" shows how to handle money simply and effectively. Save on everything. With frugality so popular, many books provide tips on cutting costs on everything from utilities to groceries. Elisabeth Leamy's "Save Big: Cut Your Top 5 Costs and Save Thousands" is invaluable because it focuses on big expenses, including mortgages, cars and insurance, and makes each step understandable. Need a job? If you know someone who's having trouble landing an interview, Jeffrey Allen's "Instant Interviews: 101 Ways to Get the Best Job of Your Life" introduces a gutsy, creative approach. Ready to retire? Many books are too generic or don't walk you through details needed to figure out if you have enough money to retire and how to not run out. "Spend 'til The End," by Laurence Kotlikoff and Scott Burns, is essential for anyone who wants to stretch retirement savings. Also helpful: Julie Jason's "The AARP Retirement Survival Guide." Paying for college. An essential book for anyone who cannot afford the full cost of sending children to college is Kalman Chany's "Paying for College Without Going Broke." It provides financial aid strategies that can provide thousands of dollars in free assistance. It's essential reading for parents with sophomores and juniors in high school. For Jim Cramer fans. If you know a fan of Jim Cramer's "Mad Money" TV show who buys stocks solely on his tips, they are taking risks that Cramer himself wouldn't endorse. He suggests putting at least an hour of work a week into researching stocks. His books tell people how. His latest is "Jim Cramer's Getting Back to Even." If you know someone willing to read an investing classic, try Benjamin Graham's "The Intelligent Investor." To Elisabeth Leamy, Good Morning America's consumer correspondent, pinching pennies by skipping coffee or bringing lunch to work is barely worth the trouble. (She says she ends up eating her bagged meal by 11 a.m. and buying a second one in the midafternoon, anyway.) Plus, she likes supporting the local coffeehouse with her green tea habit. She also likes saving money—but only when she can save a lot of it. That's why she tells people how to save thousands of dollars at once, instead of a few bucks here and there, in her new book, Save Big: Cut Your Top 5 Costs and Save Thousands! By negotiating with everyone from real estate agents to doctors to grocery stores, Leamy estimates that she shows readers how to save close to $2 million—more than the cost of all of the lattes anyone could safely drink. Plus, she notes, many people are already pinching pennies but are still struggling to spend less than they bring in. "Little things aren't enough right now," she says. "People tell me that they're skipping lattes but are paying bills late, and that slams your credit score, and then you pay much more than you would otherwise," she says. Leamy focuses on five big-ticket areas: homes, cars, credit, groceries, and healthcare. Buy a house, but pay fewer fees. Leamy points out that generally speaking, buying a home allows people to save a lot of money, because it forces them to save by investing in their home each time they write a mortgage check. Plus, homeowners receive tax benefits unavailable to renters. To keep as much money as possible in your bank account, she recommends negotiating discounts with your Realtor, lender, and settlement company. Real estate agents, for example, are often willing to accept a 2 percent fee instead of the traditional 3 percent, especially if house hunters do much of the work themselves. As for lenders and settlement companies, they will often cut buyers a break on various fees, such as application fees or document preparation fees, if asked. "Negotiating in our culture is always a little awkward, but some of these dollar amounts are too big to let embarrassment get in the way," says Leamy. Plus, she says, mortgage professionals are increasingly getting used to it these days. Stick to used cars. New cars lose so much of their value in the first few years of ownership that they're not worth purchasing, Leamy says, especially when you can buy a certified used car that will last. "Cars these days are really well built, so the risk is lower than it used to be," she says. Leamy suggests investing time in the research phase of your purchasing process so you're sure to buy a reliable vehicle. In fact, she even says it's worth paying extra on the car to increase the chances you're getting a good one. Leamy also recommends bringing cash to the dealership to avoid paying interest on a car loan. "Paying interest on something that is definitely going down in value is a horrendous waste of money," she says. Defend your credit. Keeping a clean credit report—and high credit score—means you'll pay less for any type of loan you take out, including massive mortgages. That's why Leamy suggests ordering your free credit report once a year through annualcreditreport.com to make sure it is correct. If you're taking out a $250,000 mortgage, for example, a credit score of 785 instead of 635 could potentially save you $87,480 over 30 years, depending on prevailing interest rates. Keep a grocery stash. By stockpiling groceries, you'll not only be able to purchase more items when they're on sale and save them for later (just stick meat and bread in the freezer), but you'll also be able to make use of Leamy's other big idea: Skip shopping trips. She says that many people can get by on the food they already have for a week, so why not skip shopping once a month or once a quarter? If you're used to shopping very week and spending $7,500 a year, then skipping the trip once a month could save you $1,800, or 24 percent of your annual grocery bill. Cut deals with doctors. Just like real estate agents, doctors are getting increasingly used to patients who want to bargain with them—and making the effort is worth it, says Leamy. By asking doctors for discounts upfront, especially if you're willing to pay for their services with cash, you might be able to get as much as 50 percent off your medical bills. Then you'll be able to afford a latte after your visit. Everyone wants to save money, and parents are no exception. But when it comes to filing taxes, did you know there are certain tax breaks that apply just for parents? Even if you feel like you're spending more than saving, having a child can actually help you save some cash during this tax season. As much as we love our children, having kids often feels like a bottomless money pit. But there is some relief for overburdened parents.Uncle Sam knows just how costly it is to have a baby, so there are a number of tax breaks and deductions parents can claim on their returns. Here are the ones to make sure you're covered in your taxes this year. 1. Child tax credit. Moms and dads can claim $1,000 per household child up to age 17, according to Ellie Kay, a Parentsadvisor for the Mom Money Clinic and a family financial expert. But once a couple's adjusted gross income is $110,000 or more (or $75,000 for single parents), that perk is no longer an option. 2. Earned income tax credit (EIC). Parents of three or more children who have earned less than $46,997 for the year if they're single or less than $52,427 if they're married can take this credit, Kay says. Very low-income parents of one or two kids can also qualify. The maximum EIC allowed is $6,143. 3. Child-care deductions and pretax accounts. Working parents who pay for child care might be able to deduct some of those costs from their taxes, according to Elisabeth Leamy, a money expert and consumer correspondent for The Dr. Oz Show. The amount is based on income and is between $600 and $1,050 in savings a year per child. For licensed day-care centers and after-school programs or qualified babysitters with social security numbers, parents can get a dependent care tax credit of up to 35 percent of the cost of that care. Keep in mind that there's a $6,000 maximum for two or more family members and a $3,000 cap per child. Another way to go, if your employer offers it as a benefit, is to put money into a flexible spending account, or FSA, for child-care costs, which allows up to $5,000 in contributions that aren't taxed. But, Leamy notes, parents can't take advantage of both an FSA and the child care credit; they have to choose one or the other.4. Medical expenses deductions and pretax accounts. Total family health care expenses that exceed 7.5 percent of the household's adjusted gross income can be deducted from your taxes, according to Kay, including things like physical therapy and dental care but excluding insurance premiums. Or parents can invest in their employers' Health Spending Accounts (HSAs), which, like FSAs, allow pretax contributions of up to $5,000 a year. 5. College savings plan deductions. If you've opened a 529 plan account or started another state-sponsored college fund for your child, any contributions made in 2014 can be claimed as deductions on your state taxes. 6. Adoption tax credit. Parents who finalized adoptions in 2014 are eligible for up to $13,190 per child in federal tax credits. "A little caution, though: Make sure you have all the paperwork," Kay advises. "Adoptions can be drawn out, so if [the adoption] was not finalized in 2014, that could be a problem." At the very least, though, the credit would be postponed by a year. 7. Dependent tax exemption. When you're single, you can claim one exemption; when you're married, you get two; and when you have kids, you get one for each child, Leamy says. That amounts to $3,950 per person for 2014. Since this is a deduction rather than a credit, the savings is based on your tax bracket. For example, those in the 25 percent bracket will save $975 with the exemption. When you're a new parent, everything is overwhelming -- from figuring out how take care of your new baby to figuring out how to file your taxes with the new household addition. Luckily, here's a cheat sheet on what you should know when getting your paperwork together for tax season. It goes without saying, but having a baby isn't cheap -- a fact that often blindsides new parents. "New parents don't have a lot of extra money, and having a baby is a lot more expensive than they think it would be," says Ellie Kay, a Parents advisor for the Mom Money Clinic and a family financial expert. "I say that as the mother of seven. "With all the extra items to check off the to-do list once an infant joins the family, doing taxes is probably the last thing on a sleep-deprived mom or dad's mind. But by following these basic tax tips, couples who had a child in 2014 can save themselves quite a bit of money, which could be a lifesaver in these strapped-for-cash times. 1. Make sure your child has a social security number. Applying for one usually happens at the hospital right after the baby is born, but in some extenuating circumstances, filing the paperwork gets put off, Kay says. The only way for the government to honor all the deductions and credits new parents can claim is to confirm the child's birth, which is why the baby's social security number is so crucial. 2. File taxes early rather than wait until the last minute. This is no easy feat for busy new parents, but it's important. "Even though you might use a tax software or an accountant, human errors can still happen," Kay says. "When you're in a rush, you tend to make errors. That can add up to between several hundred and several thousand dollars on your tax return." 3. Have all your receipts in order. Collecting receipts might seem daunting with all the chaos that comes with having a baby, but if you've been filing them all year long, it should be doable to round them up at tax time. And you'll need them for any deductions you're claiming. "Have a good paper trail," Kay advises. "And if you've kept a digital paper trail, make sure you have it backed up." 4. Change your W-4. Consider filling a new W-4 that reduces how much is being withheld from your paycheck in taxes, suggests Elisabeth Leamy, a money expert and consumer correspondent for The Dr. Oz Show. "Now that you've got a dependent, child credits and deductions mean you're not going to owe as much at tax time, so you don't have to prepay as much tax throughout the year," she says. 5. Use a cash-back credit card to save a little extra money. "Money saved is tax-free," Leamy says. "Make saving money a goal. For exhausted new parents, a simple way to save is by using a cash-back credit card." She recommends the Citi Double Cash card, which gives 1 percent cash back when cardholders make a purchase and another 1 percent when they pay for it. 6. Start saving for your child's college now. It's never too early to put money aside for your child's college fund, according to both Leamy and Kay. Open a 529 plan account, which accumulates money for college tax-free and can be claimed as a deduction on your taxes. Or try investing in a Coverdell Education Savings Account (ESA), Leamy advises. The money is also not taxed, and parents can contribute up to $2,000 a year. Book Review: 'Save Big: Cut Your Top 5 Costs and Save Thousands!' Tara-Nicholle Nelson Book Review Title: "Save Big: Cut Your Top 5 Costs and Save Thousands!" Author: Elisabeth Leamy Publisher: Wiley, 2009; 338 pages; $24.95 If you are a regular reader of this column, you probably already know how I feel about all those personal finance gurus who suggest that a penny-pinching savings of a few bucks here and a few bucks there, depriving yourself of the little lattes and sundry other small joys of life, is the best way to riches. I agree that it's one way -- for sure, those $3.95 expenses here and there certainly add up. However, I also see how people overspend big time on their homes, mortgages and other big-ticket items on a daily basis -- trimming your expenses on one of these big things can be the equivalent of a lifetime's worth of lattes. Plus, that scarcity mindset -- i.e., you work so hard and can't buy a coffee here and there -- is both demoralizing and difficult for most people to incorporate into lasting habits. So, my pump was already primed favorably when I got my hands on the latest book from "Good Morning America" consumer finance correspondent Elisabeth Leamy, "Save Big: Cut Your Top 5 Costs and Save Thousands!" 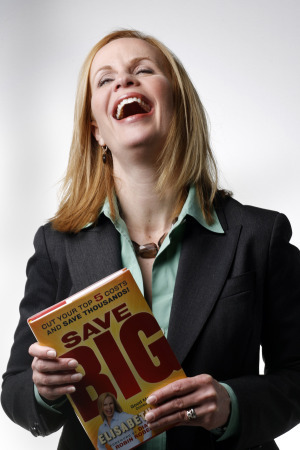 A big book with a big bang, "Save Big" focuses on helping readers cut big chunks out of their monthly budgets by focusing on only five expenses, in line with Leamy's philosophy that "it's better to save a lot of money on a few things rather than a little money on a bunch of things." Leamy starts with the largest of most households' expenses: housing. And she sure doesn't dilly-dally in getting to the point. The first words you see on the first page of the first chapter are: "Buy a House ASAP." From there, Leamy weaves together proof points for her theory that smart homeownership is a money-saving strategy that allows owners to shelter both their money and their family in one fell swoop, especially given that housing is a virtually inescapable expense. If you have to pay for housing, Leamy goes on, you might as well pay fixed payments toward something you own and that will go up in value, rather than pay ever-increasing rent payments to a landlord. While Leamy's housing argument probably overrelies on appreciation and oversimplifies the analysis relevant to housing consumers in markets where buying any home is dramatically more expensive than renting, her basic arguments are valid for most Americans, and her timing strategies and exceptions are valid for people who owe significant debt, are not able to make a geographic commitment or are otherwise not financially ready to buy are sensible and clear. The next few chapters of the "Housing" section deal with: how much to spend on a home (Leamy espouses using downpayment and being conservative about purchase price to make your mortgage equal your rent, which may be unrealistic for urban or large-market buyers), basic homebuying education, finding the right mortgage and the right real estate and mortgage professionals, cutting mortgage costs and property taxes, and paying your mortgage off early -- any or all of which pose the potential for the homeowner to save thousands of dollars. The second part of "Save Big" is devoted to money-saving strategies around cars, ranging widely from buying decisions (nothing new here -- buy used, not new; don't buy every couple of years, etc.) to using and negotiating for low-interest, non-dealer financing, to shopping for the best deal on auto insurance and maintaining your car to make it last. "Save Big, Part 3" is all about credit -- one of the things consumers least think about when determining how to cut expenses. Leamy provides powerful examples of how increasing your credit score can save you thousands of dollars in interest, then coaches readers through a primer on credit scores and how they are calculated; how they can protect and improve their credit scores in both the short and long term; and how to reduce or eliminate debt. Leamy concludes "Save Big" with sections on saving on groceries -- really, on all retail purchases -- and on health care, including how to choose an insurance plan and even how to schedule appointments to make the most of your health benefits. "Save Big" is like one of those "Hits from the '80s" CD sets; it contains tons of material that you've probably heard in a scattershot fashion before, but is great to have all in one place. "Save Big" would make a great holiday gift for yourself if saving money is on your list of New Year's resolutions for 2011. 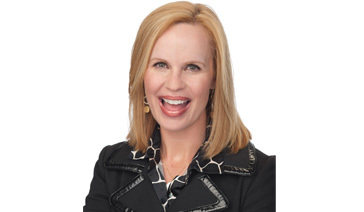 Elisabeth Leamy wants you to save thousands of dollars. The Good Morning America consumer correspondent has written a new book, Save Big, that addresses how to find hidden savings in the largest of our expenses. Leamy says lattes can cost $3.00 a pop and cutting down on our consumption is smart, but why jump over the dollars to pick up the pennies? Leamy suggests in her book for consumers to look deep into the big ticket items, house, car and more, for ways to cut down. Who knew you could actually ask for a reassessment of property values to reconfigure the tax amounts? How about taking a shorter mortgage at a lower interest rate? Choosing cars based on features rather than on popular names can save consumers plenty if they pay attention. And Leamy advises us to buy used instead of new for our wheels. And for heaven’s sake, keep a watchful eye on your credit. The more carefully you scrutinize your purchases, pay bills on time and monitor your credit statements, the better rates you’ll receive when securing loans. Even healthcare needs close examination says the financial expert. Don’t just accept medical costs, inspect the bill for overages and speak up quickly to reverse excessive charges. Those are just a handful of ways to lower overhead, Leamy points out in Save Big, but there are many other ways to cut down on expenses and put thousands of bucks back in your wallet. Click onto media bars for: Leamy’s suggestions of where to save money. Leamy pointing out where hidden costs arise. Leamy’s advice regarding car purchases. Leamy’s comments on scrutinizing your own credit for larger savings on loans and for requesting adjustments on interest rates. Leamy’s cautions regarding hidden healthcare costs. Elisabeth Leamy’s book, Save Big is currently on store shelves. What's your best recession bargain? Experts and regular folks brag about their big scores, such as a $38,000 house and $114 in groceries for $1.62. Bad economic times have been a nightmare for millions of Americans who've lost jobs, homes and big chunks of their retirement funds. If you have disposable income and the willingness to spend it, though, the flip side of the recession has been sometimes-amazing bargains as hard-hit businesses have become more willing to wheel, deal and discount. I queried some of my fellow personal-finance writers as well as posters on the Your Money message board for their best recession bargains. These are their stories. Jean Chatzky, the financial editor of NBC's "Today" show and author of "Money 911," has become a fan of online sample-sale sites. These sites, which have sprouted like mushrooms in the past couple of years, offer designer duds at steep, steep discounts in lightning-fast sales that sometimes last only a few hours. To get access, you often have to be "sponsored in" by an existing site member. Two of Chatzky's favorites: Rue La La and Gilt Groupe. "My best (bargain)? The designer dress I'm planning to wear to my daughter's bat mitzvah," Chatzky said. "It was less than $100!" Plunging home prices have proved a bonanza for homebuyers and investors. Your Money poster "PatrioticStablest," who owns several rentals, scooped up a foreclosed home for $38,000. "(It) was in bad shape (and we) spent about $30,000 on it but now have it rented for $900 a month," PatrioticStablest wrote. That's a "good return on our investment (and we) wish we could find more at that price even if it was in poor condition." Fellow poster "not_a_crook" counts a home loan as the best recession bargain: a 15-year fixed-rate mortgage at 4.25% (with a quarter-point). Elisabeth Leamy, the consumer correspondent for ABC's "Good Morning America," is equally proud of the rate she nabbed on a refinance. "My husband and I already had a great rate (5.875%), but we watched and waited to pounce on an even better deal. Sure enough, over the summer, we locked in a new rate a full point lower," said Leamy, the author of "Save Big: Cut Your Top 5 Costs and Save Thousands." "With just a couple weeks' worth of planning and paperwork, our new mortgage will save us approximately $7,000 a year. Now that's what I mean when I say 'save big!'" J.D. Roth, who authors the Get Rich Slowly blog, is fixing up the home he shares with his wife and has been impressed by how eager contractors seem to be for the work. "We got good deals, quick service and attention to detail we haven't got in the past," said Roth, who also has written a book, "Your Money: The Missing Manual." "We own a hundred-year-old house, and, as you can imagine, there's a lot of stuff that needs done. For example, we hired a carpenter to fix all of our windows, which were caulked shut. He did awesome work and for a lower price than we could have got two years ago." Roth also noted all the travel bargains out there, particularly with cruises. Although he says he's "not a big cruise guy," the prices he's seeing on sites such as VacationsToGo.com are "mighty tempting." "My wife and I rarely go on vacation, but we booked two trips for 2010 because we got great prices," Roth said. "And I know it sounds crazy, but I'm actually considering a 2011 repositioning cruise from China to Japan to Alaska because the prices are so good." I'll second that. Our family took a seven-day cruise to Alaska with my in-laws on Holland America that set us back just under $500 a person for a relatively spacious interior cabin. Although tips and excursions increased the cost, that rate made me the envy of my Alaska buddies, who are used to seeing trips that cost at least twice that. Your Money poster "supposedROI" booked a three-night stay at the Venetian resort in Las Vegas that included airfare from Philadelphia, tickets to the Pro Bull Riders finals, $65 in casino chips, free drinks and free admittance to the hotel's clubs. "Total cost was less than $350!" supposedROI wrote. "While there, we bought tickets to a (Cirque du Soleil) show 1/2 off in the balcony and got upgraded to the 4th row, then (we) took the $65 to gamble with, and got a return of $65 back. It was like they were paying us to stay there. I looove the recession!!" Frugal-living author Mary Hunt is in the midst of remodeling her family's 1972-era master bedroom suite and recently found the perfect tile for the bathroom floor at a local store, which was asking almost $16 per square foot. "We've been saving for a long time to do this, and we want it to be as nice as we can afford. Still, that's a lot for a square foot of tile," said Hunt, who runs the Debt-Proof Living site and who authored "Debt-Proof Living: The Complete Guide to Living Financially Free." "We noted the manufacturer name and style number, and went home to think about it." A little Internet research found an outlet called FastFloors.com that not only sold the same tile but was having "a big blowout sale," plus offered an additional 3% discount if Hunt paid with a debit card or a check. So instead of spending more than $2,000, she scored her floor for about half that price, including shipping. "Sites like FastFloors are doing great during the recession because they rep all floorings at a huge discount," Hunt said, "and have no overhead except a Web site and phones." Stephanie Nelson is an old hand at layering coupons with store discounts for maximum savings, and showing others how to do it at her site, CouponMom.com. But the recession has provided opportunities for savings that impress even her. "Because of the current economic situation, I've seen deeper grocery discounts on staples and common items like bananas and milk, an increase in store promotions and a surplus of store-distributed coupons," said Nelson, the author of "The Coupon Mom's Guide to Cutting Your Grocery Bill in Half." "I recently combined all three and was able to get $114 of groceries for $1.62. That was by far my best savings of the year." You can watch Nelson achieve these savings on this video. A soaring savings rate and a renewed interest in frugality are music to the ears of Alice Wood, the author of "Wealth Watchers: A Simple Program to Help You Spend Less and Save More." Wood feels the buy-buy-buy frenzy of the boom years has given way to a thriftier ethic -- something she appreciates culturally and personally. "My favorite thing about the recession is that everyone's expectations are lowered," Wood said, "so I don't really have to do much shopping." She said her best score stemmed from two $10 Kohl's gift cards she and her mom received in the mail. "(My daughter) needed long-sleeved shirts, and I found just the right shirts at Kohl's, and they were a little over $9," Wood said. "I used one gift card for each purchase so I walked away with two shirts without paying anything. I'm sure the idea is to get you into the store so that you'll also make an impulse purchase. But nothing called to me, so my outing was free." So you're brown-bagging it, making your own coffee and clipping coupons. Sound familiar? It's what a lot of us are doing these days in order to save money. It's also what Elisabeth Leamy used to do before she realized it wasn't really getting her family's finances very far. Instead, Leamy attacked her big-ticket expenses and, by doing so, saved her family a whopping $160,000 over the past ten years. In her new book, Save Big, Leamy doles out some saving advice that may not seem so conventional. For instance, she says to go ahead and keep that daily latte (though we still say skip it and embrace the Mr. Coffee machine instead.) Leamy believes that the only way consumers can truly save cash is to tackle larger chunks of wasteful spending, particularly when it comes to your house, your car and other key areas. But can Leamy's ways help us save tens of thousands of dollar, too? WalletPop got her advice firsthand. Here's what she had to say about five key spending areas. HousingMost of us consider housing to be a fixed cost, but Leamy says there's a treasure trove of savings opportunities available when buying and selling a home. When she and her husband were buying their house, says Leamy, "I scrutinized the closing costs and found $4,700 in junk fees." What counts as a "junk fee"? After all, there are legitimate fees associated with closing on a property, and some of them can't be negotiated. Look at each item carefully, Leamy advises. Items that seem vague ("administration fees," for instance) can be a red flag. Other line items, such as courier fees, document preparation fees and funding fees, can be argued and successfully negotiated. How you sell your home is another opportunity to save, she says. Leamy saved a cool $25,000 when she sold her condo prior to moving in with her husband by not using a realtor. While she says she doesn't recommend doing this in a turbulent market like the one we're in now, it's something to keep in mind for the future when the market is calmer. CarLeamy's number-one rule is to never buy a new car. "Cars depreciate 45 percent in the first three years," she says. If you can find a low-mileage vehicle that is just over the three-year mark, you can save a bundle. Leamy estimates she saved $5,000 by buying a three-year-old Honda Pilot the last time she went car shopping. She also suggests going through a private seller; you'll most likely get a better deal than you would at a dealership. If you're wary of buying a vehicle from an individual (doing so usually means you forgo any service warranties and don't have any recourse should something be wrong with the car), Leamy says you can often bargain with auto dealers to have a warranty plan included --for a nominal sum -- on a used car that doesn't already offer one. Finally, if your car's in decent shape, don't trade it in just because you can. If you're currently making car payments, multiply that monthly amount by 12 and then think about how nice it would feel to save that amount each year by not buying another car. CreditFew people grasp how a much a low credit score can really cost you. According to FICO, a person with a credit score of 550 will end up with an interest rate on their mortgage that is three percentage points higher than someone who has a score of 720. Leamy puts this in more concrete terms by using a conventional 30-year mortgage as an example. "If you raise your score from 620 to 720, you could save $3,120 per year on a $300,000 mortgage - that's $93,600 over the life of the loan," she says. "Over the past decade, I calculate that I've saved $116,000 on two different mortgages because I was able to get better mortgage rates with a higher credit score." If you're paying off credit card debt, Leamy says paying every two weeks instead of once a month can help you pay down your debt faster. First, that mid-month payment helps reduce your balance (and the interest you pay on it) more than if you'd waited until the end of the month. Second, if you stick to the every-two-week schedule like clockwork, you'll have made the equivalent of one extra payment a year, which goes even further towards chipping away at your debt. GroceriesSince the recession began, women's magazines have been peppered with articles about "shopping your closet," meaning you should try wearing what you already own instead of buying new clothes. Leamy says Americans need to do the same with their pantries. With the exception of items that quickly spoil like milk, she advises that consumers skip the grocery shopping trip every once in a while and raid their pantry. "Use up your leftovers, and use frozen and canned food you already have," Leamy says. "It's a fun challenge." Leamy estimates she's saved 25 percent on groceries annually simply by shopping her pantry once a month instead of making her weekly food-shopping trip. Given that the average American family of four spends $10,692 on groceries annually, that adds up to a nice chunk of change. For those who are willing to invest a little time in order to save even more, the web offers a bevy of resources. Leamy says she knows people who've cut 50 to 80 percent off their grocery bills by rigorously using coupons every time they shop. Sites like Couponmom.com let you enter the products you're looking for, and the site will tell you if a coupon is hiding in any of the paper circulars that come in your mail or in the newspaper. Leamy also recommends Becentsable.net for tips on maximizing your coupon buck. HealthcareLeamy says raising the deductible on your health insurance or increasing the amount you pay for doctor visits and prescriptions can also pay off, particularly for young, healthy Americans. "My family saves $1,100 a year on health insurance," she says. Leamy opted for a plan through her employer that requires a higher payment each time they go to a doctor but costs a bundle less up front. "You don't want to be spending way more in premiums than you pay in healthcare costs," she advises. Leamy also says people should stop rejecting generic medicines -- the difference in cost between generic and name-brand can be significant. For an example, Leamy cites the popular antidepressant Prozac. A year's supply of the name brand costs $8,290, whereas the same amount of its generic twin costs just $1,940, a savings of $6,350. All told, not all of Leamy's tips will work for everybody, but it's likely that some of them probably apply to you. More important, though, is her mindset. Countless experts preach at us to watch our pennies, but watching those hundred-dollar bills could add up to significant savings a lot faster. WHERE in the food chain does E Coli enter and infect us? Do Omega-3 Fortified Foods Live Up To Their Claims? I Tested Them For Dr. Oz. Will “Smart Gum” boost your brain and make you smarter? I tried it for you. Safe sleep: could your child’s pajamas be dangerous? Investigation: Are flavored waters diet sodas in disguise? Do protein-fortified foods live up to their claims? Are Gas Station and Convenience Store Foods Safe? I Go Undercover to See. Is Your Extra-Virgin Olive Oil the Real Deal? Could you survive a house fire? Free For All: Movie Popcorn, Romance Novels & Gourmet Chocolate! Free For All: Free Flower Seeds, Tax Prep, Pots and Pans! Free Produce, Coupon Coaching and Free Groceries to Help the Hungry!